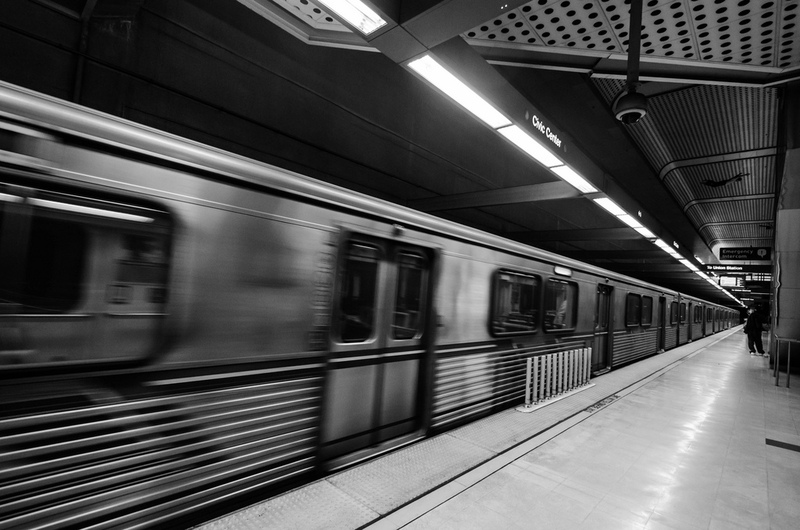 ART OF TRANSIT: The subway at the Civic Center/Grand Park Station. Photo by Steve Hymon/Metro. The transit agency in Vancouver gave its transit security force the power to levy a $173 fine to fare evaders last fall — previously, they could only ask those who didn’t pay the fare to leave the bus or train. In between September and the end of 2012, about 11,000 tickets were issued and security officers say the pricey penalty seems to have encouraged more people to purchase bus and train fares. The I-710 Corridor Project — being overseen by Metro — proposes to improve the flow of traffic between Ocean Boulevard in Long Beach and State Route 60 in East Los Angeles. Among alternatives under study is widening the freeway, an option that the Long Beach City Council I-710 Oversight Committee, Gateway Council of Governments and the Project Committee don’t back; they favor a zero or near zero emissions freight corridor. Here’s the project home page on metro.net. Wonky but excellent post from Yonah Freemark on whether the feds should remain or vacate their role in providing money for local transportation needs. A lot of that money at present comes from the federal gas tax, which is a problem as revenues are declining as Americans drive more fuel efficient vehicles (and in some cases, drive less). This has led some to suggest that it would be better if states simply made their own decisions about how to pay for transportation. But Freemark counters that some states would simply choose not to pay for it (which would devaststate transit agencies) and perhaps it’s best if the feds found a more progressive way to help localities support transportation. Scientists at Carnegie Mellon University are designing a system to get rid of all traffic lights. It works like this: As we approach an intersection, our cars transmits data, such as location and speed, to other nearby cars. The virtual system processes this information for all the cars in the area and determines our individual traffic signal. Instead of seeing a red or green light hanging in the intersection, we see it on our windshield and drive or yield accordingly. Among the advantages: Every intersection with a car now automatically has a traffic light directing it to go or stop. But yes, some of the stops will be virtual, just like they are now. Not that we need the unpleasant reminder but average California gasoline prices jumped 23 cents in the last week, passing $4 a gallon in Los Angeles. The surge follows a year in which U.S. motorists spent a greater percentage of their annual income on gasoline than at any time in the last three decades, the U.S. Energy Department says. Yes, we know there are reasons for this. (There always are.) But maybe it’s time to protest by trying out Metro or any other form of public transit.